Papastiffin is proud to announce that we are starting our dinner service (we were already supplying lunch) in Indira Nagar and silkboard BTM 2nd stage . Papastiffin will be delivering your dinner at your doorstep. We will be delivering both types of tiffins at your doorstep.You can visit website or call at 9480493872 to order your tiffin. Example Dishes: DAAL : # Yellow Toor Daal, Dhaba Fry Daal, Moong Ki Daal, Masar Ki Daal, Palak-Chana Daal, Lauki Chana Daal, Mah-Rajma Daal, Mix Daal etc. SABJIYA : * Amritsari Chana, Rajmah, Aaloo Matar, Malai Kofta, Dum Aalloo, Aaloo Amritsari Barri, Aallo Gobhi, Saag Paneer, Karela, Palak Paneer, Bhindi, Ras Bhinni Lauki, Aalloo Methi, Sem, Mashroom Matar, Tinda, Baigan Ka Bharta, Aalloo beans, Zeera Aaloo, Kaddoo etc. Others : * Raita : Tamatar Raita, Kheera Raita, Lauki Raita, Bundi Raita, Dahi Bhalla , Pyaz Raita etc. * Sweets : Kheer, Lauki Ki Kheer, Sevai Ki Kheer, Custard, Gulab Jamun etc. * Non-Veg : Methi Chicken, Chiken Curry, Lemon Chicken, Mughlai Chicken, Chinese Chicken etc. * Punjabi Parathas: Aalloo, Pyaz, Gobhi, Besan etc. * Snacks : Samosa, khasta, paneer pakaure, veg-pakaure etc ORDER ONLINE ( REGISTER, LOGIN AND ORDER/CANCEL) OR CALL 9480493872 We are here to serve you with fresh, healthy and palatable food at your doorstep and most importantly at your convenience. Home cooked food of your choice is now just a mouse click away. Papastiffin delivers home made food to offices / companies / homes / pg accomodations. 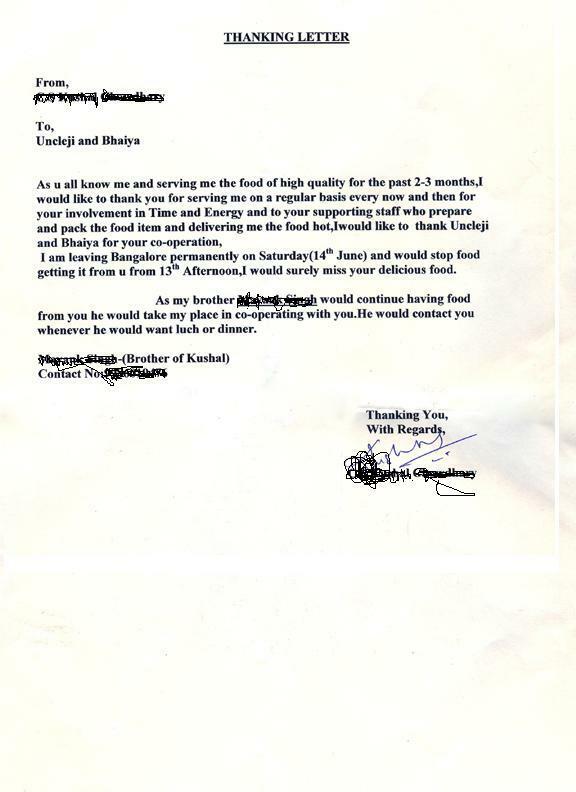 Please contact us at papastiffin or call us at 9480493872 for all your food needs. You can order online. We wish to treat each of our customers as a member of a big family. We believe in interactive atmosphere where you can choose or even prepare your menu and where your feedbacks/suggestions are valued and promptly acted upon. We plan to supply tiffins to more areas depending on the demand. So please don’t get disheartened if you do not stay at one of these locations. Regardless of where you stay in Bangalore do call us. If number of tiffin request from a particular area crosses a critical mass we’ll open up our kitchen there to serve you better. Thanks Dear Customer. We appreciate your time. Litti chokha is a local specialty of Bihar. Litti is primarily ball shaped stuffed preparation. The shape may be varied to oval/ flattened by gently pressing the ball. The shell is made of wheat flour. The taste of litti very much depends on the filling.The essential ingredient of filling is gram flour. Preparation of the filling is a fine art and requires a delicate combination of condiments and spices. The filling is amorphous and not runny. This is filled in the shell, sealed and then baked to perfection. Chokha accompanies litti. This is a preparation of smoked eggplant/brinjal or tomato. The smoked tomato or eggplant is mashed and dressed with mustard oil, coriander leaves and shredded green chilies. Mustard oil gives a distinct flavor to the chokha. If you have not tasted Litti Chokha yet then you are missing on one of the most famous recipe of North India. Order it this weekend and taste it. You will not regret it. Papastiffin supplies home-cooked food (tiffins or dabba ) in Koramangala, National Games Villages (NGV) and Indira Nagar. We supply weekend bruch, lunch and dinner in office and at your door-step. You can register on our website and order/cancel food online. Alternatively, you can also call at 9480493872 and order your food. We also serve to corporates, birthday parties and home functions. Please contact us. Now, Papastiffin can provide you vegetarian / non-vegetarian food and snacks for these get-togethers. We will provide you home-cooked food so you can enjoy the party without worrying about the kitchen. We are limiting this food delivery service for the weekends only. Please call us and discuss your menu with us few days before delivery. It will be easier to entertain your request if you are ordering for more than 20 persons and party is on the weekends. We plan to deliver in the whole of Bangalore city. We will charge for the food’s price and auto charges for the delivery. Please call us at 9480493872 or email us at admin@papastiffin.com to discuss your menu with us. Papastiffin supplies home-cooked food (tiffins) in Koramangala, National Games Villages (NGV) and Indira Nagar. We supply weekend bruch, lunch and dinner in office and at your door-step. You can register on our website and order/cancel food online. Alternatively, you can also call at 9480493872 and order your food. We also serve to corporates, birthday parties and home functions. Please contact us.